To say that bingo is a passé means you haven’t been going to Facebook or to your social media sources these recent times. Bingo is actually just one of several old-timer games that found resurgence and is becoming popular again. You have poker, scrabble, and even Tetris to name some. 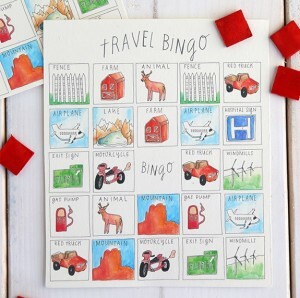 What makes bingo stand out is its highly customizable format and how it can be played by any age group. If you’re a Starbucks fan or if you love spending time with friends at a coffee shop, why not have fun with the names being called out by the barista. Starbucks Bingo is a good game to bring with you to enjoy the moments spent in coffee shops. Not only do you have laughs with your coffee-mates, you also become more accustomed to the many pronunciations of one name of a customer being called to attention by the barista. SayYesToHoboken.com came up with a very practical yet artistic bingo variation that will really engage young kids in both making and playing this bingo variant. You only have to be familiar with the classic kids game “I Spy” for you to learn how the mechanics of this bingo game will work. This project is a good way to bond with the members of the family. It’s also a good way to practice those drawing and coloring skills. Buzzfeed, a social media resource network, can really come up with the wittiest bingo modifications. One really cool game that it has picked up from the many online forums and blogs out there is Hipster Bingo. Whoever came up with this game modification is certainly up to some mischief. However, it is fun to get to know our young hipster generation, don’t you think? You can do your own research of other social cliques and pattern your own modification from this fun bingo game variant.